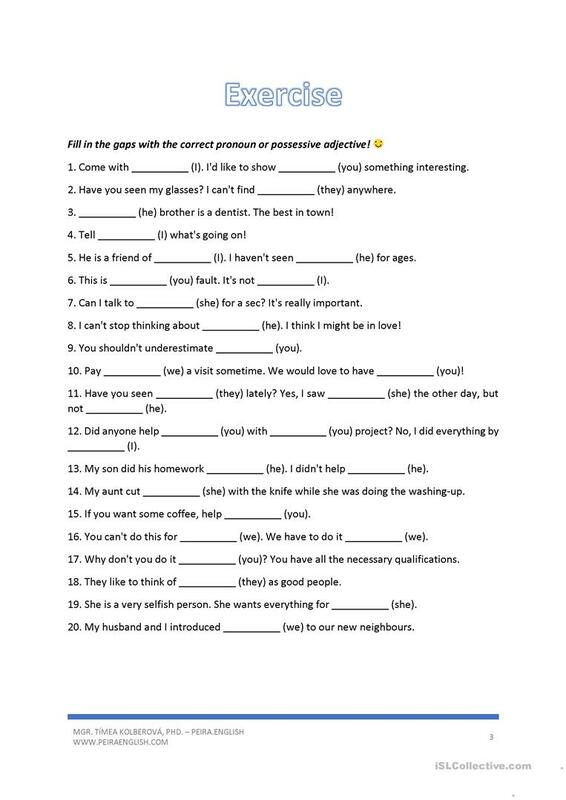 This worksheet contains a chart about different types of PRONOUNS (personal, object, possessive and reflexive) and POSSESSIVE ADJECTIVES. There are example sentences + a grammar drill + 2 SPEAKING ACTIVITIES (with a focus on the correct usage of his/her). The present downloadable printable is a great resource for high school students and adults at Pre-intermediate (A2) level. 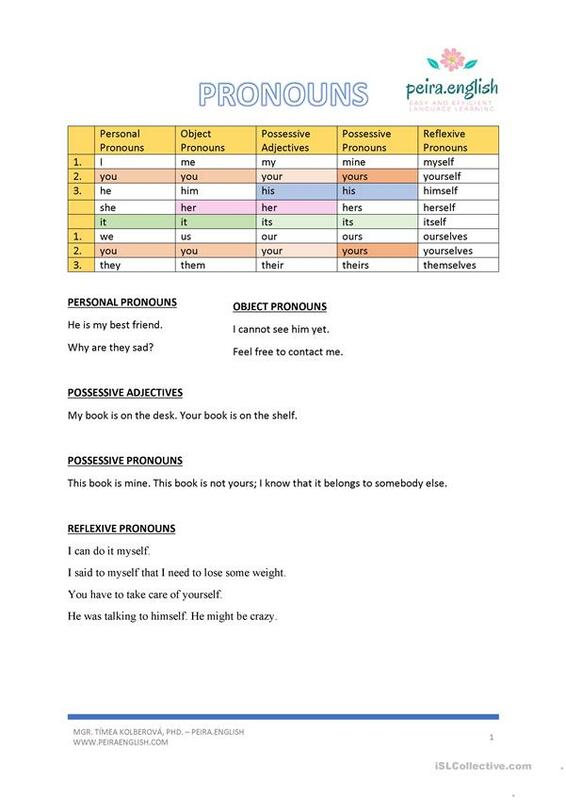 It is aimed at revising Personal pronouns, Pronouns: Possessive pronouns (e.g. my, mine) and Pronouns: Reflexive pronouns (e.g. 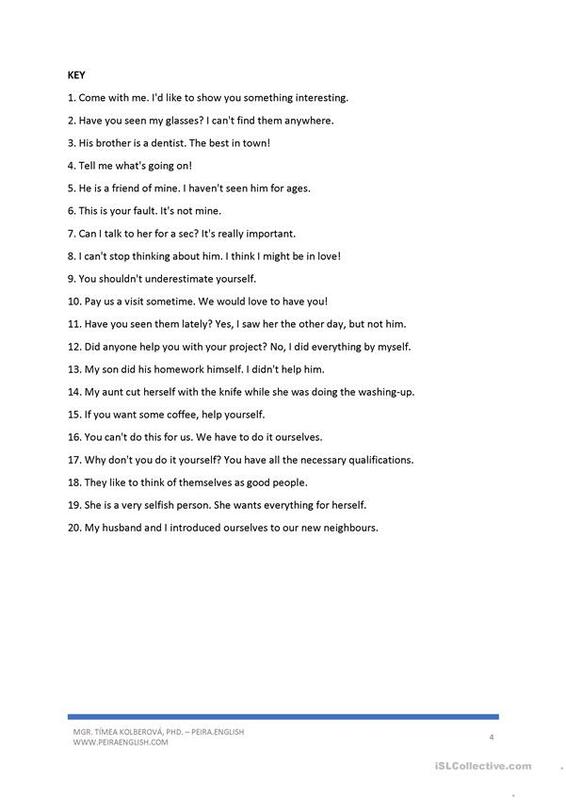 myself, yourself)) in English, and is excellent for improving your groups' Speaking skills. 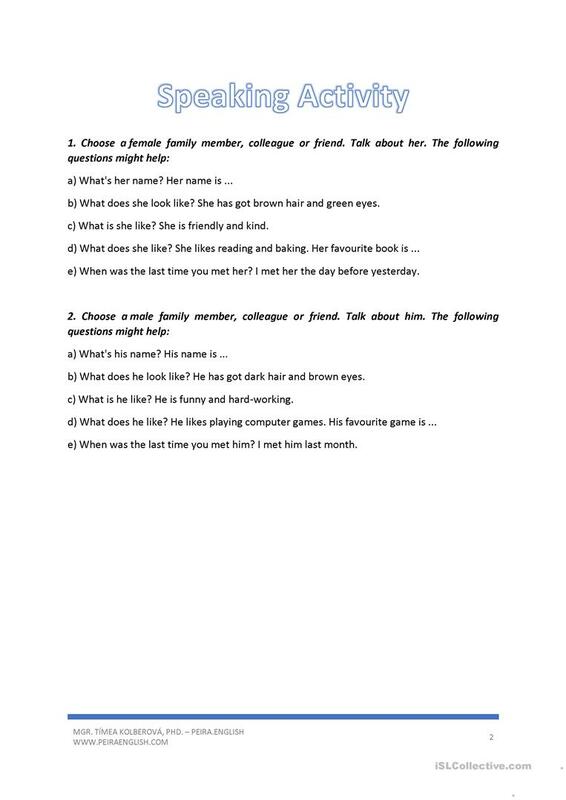 I am a professional ESL/ESOL teacher and tutor. I am self-employed and I consider myself to be a life-long learner.